Narciso Crook was drafted in the 23rd round by the Cincinnati Reds in 2015. 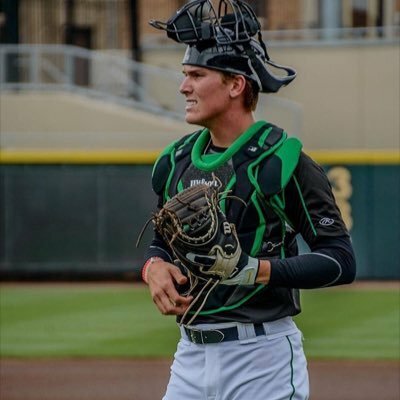 One of four outfielders listed on the Class A Dayton Dragons roster, Crook was on the disabled list with a shoulder injury as Dayton opened a three game series on the road in Burlington, Iowa. Crook was hitting just .244 when he was injured but he had three home runs and seven RBI’s for Dayton. It was one of the longest road trips the Dragons will take this season. The seven-hour bus ride took them just across the Mississippi River into Burlington (population 25,633) and Community Field. There’s no corporate sponsor nickname for the ballpark in Burlington. Despite a renovation in 2005, Community Field is a ballpark of a different era with simple features and a bland appearance. It’s a notch below other Midwest League venues such as Dayton, Peoria, Kane County, Fort Wayne or even upriver in Davenport. On the opening night of the three-game series, 471 Iowans came out to watch the game. Sports priorities for Iowans center on Iowa Hawkeye football and wrestling. When they aren’t in a caucus — they started the most turbulent Presidential political process since 1968 just a few months ago — Iowans work at their jobs and their farms, lean to the left slightly on politics and consider themselves the salt of the earth. 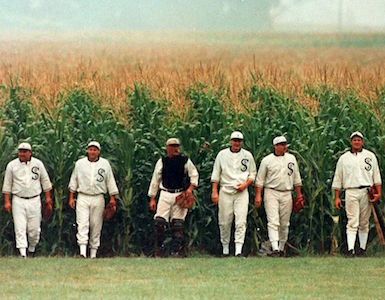 Burlington is one of four minor league teams in the state and, of course, there is the Field of Dreams, just outside of Dyersville. No, Iowa isn’t heaven. But Dayton’s start of the baseball season has been hell. 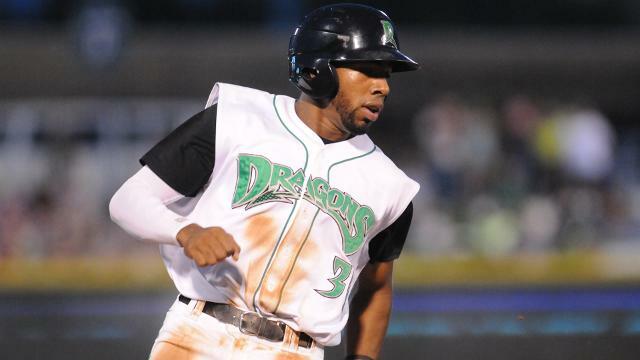 The Dayton Dragons stumbled out of the gate this season. They have been hindered by a severe lack of offense and injuries. On their opening night in Burlington, the Dragons had a record of 5-19. A brisk two hours and thirteen minutes later, they were 5-20 after being shutout 6-0 on three hits. 24 hours later, the Dragons fell to 5-21 losing by a 3-2 score. Along with the injury to Crook, catcher Tyler Stephenson — the Reds #1 pick in 2015 — was hitting .136 (6 for 44) before suffering a concussion. 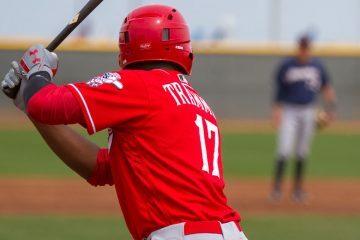 Stephenson (left) is rated as the Reds #7 prospect in the latest rankings. Pitcher Tanner Rainey (0-3, 6.89 ERA) was also on the DL because of a strained oblique. He was ranked the #30 prospect. Dayton salvaged the third game the next afternoon by winning 4-3 in a 14 inning marathon. Their relief pitchers were brilliant and they scored a run late to win the game. And Narciso Crook? He gets credit for an assist even though he didn’t play in Burlington. In one of the many contests minor league teams hold between innings, there was a Ã¢â‚¬Å“musical chairsÃ¢â‚¬Â game played between innings. The losing contestant of that was a 4-year old girl. She immediately began to cry. Tears flowed down her cheeks. The emcee of the event took her by the hand towards the gate off the field where her mother waited just by the Dragons dugout. That’s when 6’3Ã¢â‚¬Â 220 pound Narciso Crook came out onto the field.. The 20-year old from the Dominican Republic gave the little girl a baseball. Her tears turned into a smile. And as Iowans applauded from the stands, theÃ‚Â mother took a photo of her daughter and the 6’3Ã¢â‚¬Â 220 pound Crook, kneeling beside her. 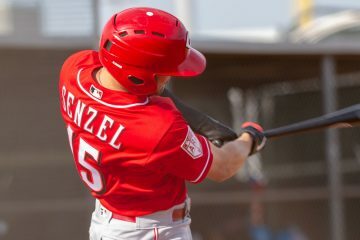 I interviewed two Dragon players for Redleg Nation during their time in Burlington — second baseman Shed Long and right-handed pitcher Franderlin Romero. Neither of them are on the Ã¢â‚¬Å“top prospectÃ¢â‚¬Â list but both are having good seasons so far for Dayton. And later in the season when the Dragons travel to Davenport, Iowa I will speak with Narciso Crook. 2 articles from you in one day. A nice bonus. Very nice piece of writing here! Good stuff John. I saw my first Dragons game in Dayton last summer and I see why it’s so popular. But 471 fans in an old school park sounds great to me. I’d be there on a lot of nice summer nights. Is this heaven Ray?